Let’s be honest. Finding easy recipes for novice cooks isn’t always, well, easy. With so many gadgets, utensils, ingredients, and chaos it might even get a little intimidating. 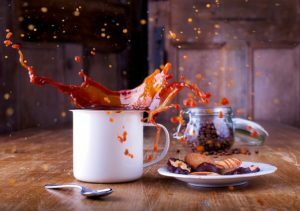 Food will burn, pots will boil over, and sometimes, when everything seems to be going great, one little thing can throw it off. 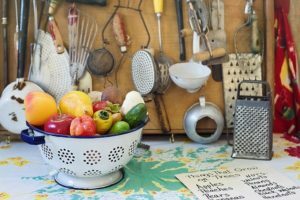 Even the most skilled and professional chefs who have been cooking for fifty years have mishaps and mistakes, but if you’re just starting out, those same mistakes can be a little discouraging. Do not fret. I’ve got the recipes to get you started and boost your morale. Mistakes happen and that’s okay! 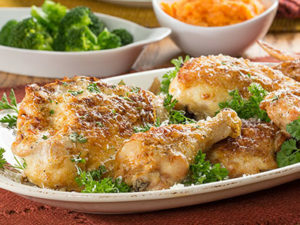 One of the first things I learned to make when I started cooking was baked chicken. “Try it,” they said. “It’ll be fun,” they said. Okay, so mostly they were right, but the first time, it didn’t come out so well. Okay, maybe it wasn’t great the second or third time either. Sometimes it started out in the oven and finished on the stove top. Now, many years later, as a mom of a 17-month-old toddler, it’s easy to get distracted. 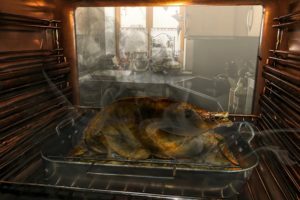 It seems every time I’m ready to cook dinner, he’s determined to get into things he shouldn’t or scream with more force than any set of tiny lungs should have–and sometimes the chicken still winds up on the stove top. So, don’t get discouraged when the recipes don’t work out. Quick tip for the novice chef: when the cooking gets tough, there are usually ways to improvise. Don’t be afraid to get excited in the kitchen! Cooking for beginners doesn’t have to be stressful. In fact, it can be downright fun, even in the chaos! Sometimes, the mistakes teach you something new or help you to make a recipe your own. So, whether it’s your first day in the kitchen or you’ve been in front of a stove longer than some people have been alive, just realize not every day is perfect. 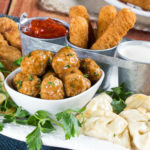 With that being said, if you are just starting out, here’s five easy and delicious recipes that, once perfected, will give you the confidence to take your cooking skills to the next level. 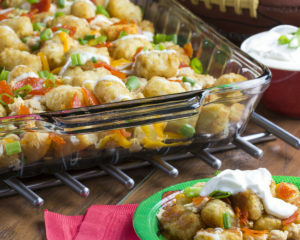 Huddled-Up Chicken Tots This is a great get-together appetizer or side dish from our January blog. It’s so easy to throw together and everyone will love it. Nothing-to-It Chicken No, seriously. There is nothing to it. It’s literally a mix, pour, and bake meal. 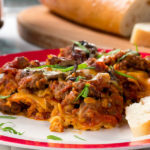 It’s a great easy recipe to start with! 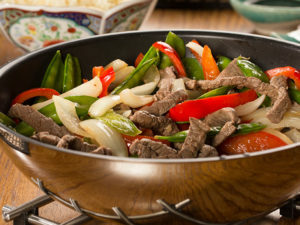 5-Minute Beef Stir Fry This recipe is the definition of quick and easy. Do this one right, and the family might think you ordered in, especially since you’re supposed to be a beginner. 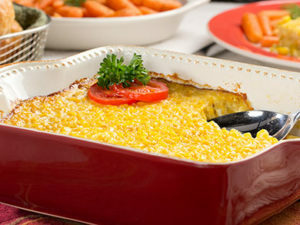 Easy Corn Pudding I get it. If you’re gonna do this cooking thing you want to do more than heat up corn in a pot or steam it in a microwave. Well, now you can, and this recipe is the one to start with. 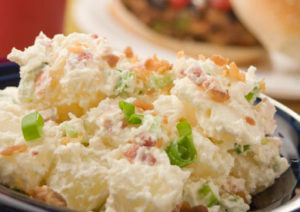 “No-Bake” Baked Potato Salad Spring is upon us (supposedly), so if you’re in need of a picnic or potluck recipe, this one is easy and delicious. A perfect recipe for the beginning cook! Well, what about dessert you ask? Baking is a whole other beast that I’ve never been able to tame. My husband, however, well he could probably provide a tip or two. That doesn’t mean you can’t make something just as good without worrying about setting the oven ablaze. 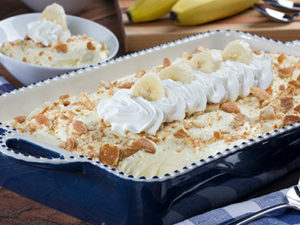 Banana Pudding Dream This comes together in about 10 minutes and it tastes absolutely delicious. Take care with the presentation and people will think you’ve been doing this for years. Chocolate Peanut Butter Jars Yup. This will definitely impress. 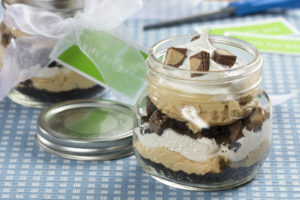 Whether it’s the kids, the hubs, the neighbor–everyone will think this is a clever way to serve up dessert. Starting at the beginning isn’t always easy, but give yourself some slack and know there’s room to improve. If you burn something the first time, it’s okay. I actually forgot I was boiling hot dogs once. I only realized something was wrong when my pup started barking at the kitchen. Yup. Smoke billowed up, the hot dogs were charred, and the pot was ruined. I wasn’t even a novice cook at the time! I’ve also blown up a microwave, but that’s a story for another time. The point is, you can do it, and I hope these recipes get you started in a positive way. Try the recipes and then share your experience with us! I love hearing cooking stories! P.S. If you’re looking for some amazing tips and tricks, check out Howard’s How-To Videos! What’s your favorite recipe for the beginner cook? Hi Marlene, I’m so sorry I’m late to this. Were you still in need of help?